You pay your insurance premiums every month to establish a safety net when an emergency arises. Well, the day you dreaded came, and thank goodness you had insurance…but wait…the insurance company disputes either coverage or damages (the amount they should pay). Why? What can you do? Although you would think that the insurance company works for you because you pay them monthly premiums, the fact is that they work for their shareholders, who lose money when a claim is paid out. It is in their best interest to avoid paying claims or to limit the amount paid when a claim is made. Whether your insurance dispute centers on coverage issues or damage issues, or if your insurance company is just unresponsive to your claim, we can help. 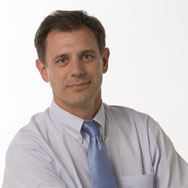 Attorney Austin Carr has over 25 years experience handling insurance disputes, including several years experience representing insurance companies. In addition, he is a Civil Trial Law Specialist certified by the Florida Board of Legal Specialization, who understands many of the tactics insurance companies will employ to avoid or delay paying your claim. Don’t be forced into accepting less than you deserve because delays force you into an unfavorable settlement. Contact an experienced insurance dispute lawyer today for a free consultation. Austin Carr invites you to visit his Why Hire Austin Carr? page for more information about his qualifications and service. He also suggest visiting the 5 Things You Need to Know About Insurance Companies page for some helpful information. If it is determined that your insurance company is dealing in bad faith, you may be entitled to punitive damages (damages to punish the insurance company for their conduct). Austin Carr can help you assess your claim and determine if suing your insurance company for acting in bad faith is warranted. Auto insurance disputes: Car insurance disputes include uninsured motorist claims, underinsured motorist claims, and personal injury protection (PIP) claims. Home owner insurance disputes: Home owner insurance policy disputes include tornado claims, hurricane damage claims, and other coverage issues. Professional liability insurance disputes: Professional liability claims include attorney malpractice, medical malpractice, accountant negligence, architecture and structural engineer error, and other professional liability claims where your insurance carrier is denying coverage or there is a dispute regarding the amount of damages. If you are being ignored by your insurance company, or if they are unreasonably delaying paying your claim, denying coverage, or arguing about the amount they owe you, then contact an experienced insurance dispute lawyer for a free consultation. Let Austin Carr examine your policy and listen to what happened to you. He can provide you with an experienced opinion and sound advice on how you should proceed. Insurance companies count on you not engaging an attorney to protect your rights. Austin Carr is here to help you.